Anyone who has used the popular Kasavana/Smith menu engineering model is familiar with the term "Plowhorses". A Plowhorse refers to an entree which is highly popular and has a relatively low contribution. My brother Paul is an Executive Chef at a major resort in California. We love to discuss menu engineering theory and we question the characterization of these under-performers as Plowhorses. Paul prefers to refer to the popular items with low profitability as deterrents. Dr. Kasavana states: "While plowhorses do not help carry the restaurant's "burden of margin," they surely can be utilized to attract price sensitive buyers. These items present an opportunity to create significant price promotions." Later in the Plowhorse description, he offers a suggestion: "...try to shift demand to other, more profitable items through merchandising programs and menu positioning." Clearly, the fastest way to higher profits would be to convert sales of these popular under-performers to Stars (highly profitable/high contribution items). Playing around with the unpopular Dogs (unpopular/low contribution) and Puzzles (unpopular/high contribution) won't have the same impact due to the relatively low number of orders sold. My brother Paul argues these "Plowhorse" menu items deter customers from ordering a more profitable menu item. Often he finds servers promoting these menu choices when asked for help by the guest. He courageously eliminated the most popular menu item at the resort. Whether you call it a Plowhorse or a Deterrent, check averages and gross margins are way up. We find lots of "price sensitive buyers" in the current environment. If you can't bring yourself to completely eliminate these deterrents, consider one other suggestion from the book: "Relocate plowhorse items to a lower menu profile position. Hiding these items may lead to the sale of higher contribution menu item selections." If I am interpreting this suggestion accurately, our aim is to demote these Plowhorses to Dog status. Treatment of Dogs is straight forward in the book: "TAKE DOG ITEMS OFF THE MENU!" If you are struggling with one or more highly popular menu items which simply do not carry their fair share of contribution, you need to take action now. You may feel the need to try to hide these items or combine them with more profitable options. Do you have the confidence to eliminate these items now? You may find more money in your bank account. The number one decision in managing your Sunday Brunch operation is the size of the staff for a given forecast. The staffing should include one or more people at the host stand. If your patrons know each other, you should consider seating people close to one another by opening zones in your dining room. Dining patrons will tend to spend more time in conversations thereby giving their digestive system ample time to send the "I'm full!" signal. Generally, people will behave differently around their friends and neighbors vs. a crowd of strangers. There are no statistics to back me up but I think they will eat somewhat less if they are surrounded by people they know. You will also staff the food stations and the dining room. In the dining room, the number of servers will be significantly lower than a typical dinner shift. Most of the service will involve drinks and condiments. One area you should adequately staff are the stations with meat and seafood selections. If you are comfortable letting patrons empty your pans of bacon and sausage, you should at least consider someone who can portion roasts and grilled items. Some restaurants have a featured item which requires a ticket. Generally, the serving size for this one-time item is generous. The theory is twofold. First, the patron is limited to one generous portion. They will tend to build their experience around this menu item. Second, the portion is generous and will help limit consumption of other menu items. When we were traveling with my first employer after college, our group always hit a great brunch in a hotel on Sundays. We were allowed to stay on the road vs. flying back home on the weekend. We were loyal to a hotel brunch with three drawing cards: fresh baked rolls, a great salad bar and prime rib (one serving per patron). None of us ever had any room for bacon and sausage. We paid at least 25% more than the local competition charged for the fresh baked goods and the large portion of perfectly cooked prime rib. I'd recommend a baker in the kitchen if the volume justifies the expense. These pros can put people in your seats. Since many bakers work at night proofing the dough, you could finish the bread and rolls during the shift. Clearing plates from the table seems to be art form many brunch operators have mastered. If someone is around to offer coffee and suggest a fresh pastry, you could save the expense of seconds at the meat and seafood stations. Placing pastries in conspicuous niches helps to get guests discussing dessert before they even begin their meals. The cost of a coffee and a slice of cake is lower than seconds on shellfish and steak. Finally, I recommend costing each pan or plate sent from the kitchen. You need to know the cost per serving ahead of time in order to properly orchestrate the brunch in the dining room. If you have a main draw with terrific fresh baked goods, you can still charge a premium and save on mass consumption of ancillary items. I just received an email from Hotel F&B Magazine. There is an excellent article with advice for slow nights in the current magazine. They highlight the Hotel Durant in Berkeley. The chef was able to lure UC Berkeley students into the hotel on Sunday nights for a fried chicken dinner with soup and dessert for $10. How Accurate Was the Outlook for 2009? Forecast: Oil prices finding an equilibrium higher than $60. Reality: They stayed between $60 and $80 most of the year and currently hover near $70. Forecast: Low interest rates and tight credit. Reality: This forecast was spot on. Forecast: Lower bottled water sales and more tap water orders. Reality: Absolutely correct! Tap water rules in 2009. Forecast: Slow economy in regions with a high banking or government weight. Reality: This is especially true in areas where the banking and government sectors had a major impact on upscale dining operations. Forecast: More beer and less wine. Reality: In absolute dollars, this prediction is true. What actually happened is consumers down shifted from higher priced beverages to mid-range and budget alternatives. The downshift occurred in both beer and wine. Many of you will get a true read out on the economic future as the holiday season ends. Expect oil prices to find an equilibrium price higher than current levels. Grain prices will continue to track oil since most gasoline now has a 10% ethanol blend. Interest rates are very low allowing many businesses and consumers a chance to refinance. Credit remains very tight. Bottled water sales are in decline and tap water is becoming a popular restaurant beverage choice. Rather than using 2007 or 2008 as your compass, try to put together a logical forecast for your region. If you operate near a major banking center, the layoffs could completely change your business model. Anyone in the Mid-West may see an increase in economic activity as stimulus dollars reach the automobile manufacturing companies. State and local governments have less revenue. If you are located in a capitol metro area, you can expect less traffic. Americans are consuming more beer. You may want to slow down your wine list expansion. Turn a portion of your wine inventory into cash by selling slow movers by the glass. Don't be afraid to accept a higher cost of sales on these bottles. Your shelves are filled with frozen cash. Stay tuned for the 2010 Outlook at the end of the month. Hi Joe - I've had a recent question about counting stocktake and wonder if you could help me answer it. You're welcome to also use it on your blog if you wish. My question has been playing on my mind since we opened. Where do products that we make and store eg. canneloni, lasagna etc. go in relation to the stocktake? At present, I am counting up all finished products and deducting that from my final costs of goods sold. ( My guess was that if you didn't then you would be counting the flour and the eggs used twice). Thanks for the question Ken. I favor including the finished goods inventory in the ending inventory value for all batch recipe products. As long as the operation expects to receive revenue for the item as it was prepared, it should be included in inventory. These stuffed pasta dishes are commonly sold for several days at the full menu price. Roasted meats are trickier. If the cooked item will not be sold in the primary manner (for example, leftover roast used in hash), they should consider including only 1/2 the value or completely eliminating this item from the ending inventory. The accounting treatment should be consistent. My question would also be, how do account for it in inventory. Right now we are sitting on 400 lbs of this usable trim product for grinding stewing or otherwise. We will generate revenue from it, but wonder do we count it at a discounted price per pound or the original price per lb. that we paid for it when it was a whole muscle item? Thanks for the quick and informed response. Greatly appreciated!! Imagine you have a vendor, Fabricated Beef Products, who you swap whole pieces of meat for fabricated, portion control items. You never pay this vendor any money since you swap one large item for several smaller items. If you give them $1,000 worth of whole sirloin and they return sirloin steaks and ground beef, you would treat the transaction as a wash.
Credit the inventory value of the whole piece of meat. Then debit the inventory for the steaks and trim meat. If you decide to treat the trim as free, the steaks would carry the full cost of the whole piece of meat. On the other hand, if you place a value on the trim, discount the value of the whole piece by the trim credit and then value the steaks based on the net. The key issue here is the value of the steaks. You probably would not spend the labor cost butchering the whole sirloin simply to achieve many pounds of ground beef. If you have a true value in your operation for the trim meat (I use revenue generating menu items for my test. ), go ahead use a full credit based on comparable market prices for ground beef. The total of the steaks and trim for a specific production batch would be exactly equal to the value of the whole sirloin used in the batch. In a nutshell, your steak cost goes higher as the credit for trim goes lower. It seems you meet the criteria for valuing the trim based on the market cost of ground beef. Your inventory value of the steaks and trim should reflect the cost of the whole sirloin used to produce these items. Just a quick question we are having a debate about at out businesses. We bring in our own whole sirloins of beef, trim them, and cut and portion them to our specs typically for sirloin steaks in a variety of portions 8 oz. and 10 oz. cuts. 1. A usable salable product in the form of cut and portioned sirloin steaks as mentioned above. 3. And we have a considerable amount of usable trim that we can manipulate into another food form and generate revenue with, i.e. burgers, chop steak, etc. My question is we have a considerable amount of this usable salable trim in our freezer. The question is how we account for it in our inventory. At the price/ lb we paid for it upon delivery, a factored price after we it is trimmed and in the ready to use format in the freezer waiting to be utilized (essentially the same costing formula applied to the steaks we are portioning for immediate sale) or at a cost reduced price as it is no longer a part of the original piece of meat we would be using to generate sales with in the immediate as we do with the portioned steaks. Your wealth of knowledge and assistance here would be greatly appreciated!! Get back if you can. There are two schools of thought on this issue Ross. The first group charges the cost of the whole sirloin to the steaks. They consider all usable trim "free" and they use the total weight of steaks divided into the purchase cost of the whole sirloin to calculate the cost per usable pound. This philosophy is correct if the trim is used in employee meals, stock pots, etc. The second school of thought credits the cost of usable trim. Typically, there are two primary trim bi-products: ground beef and stew meat. These people weigh the ground meat and cost the credit using the prevailing cost per pound for ground beef. They do the same for the stew meat. The net cost is then divided by the weight of the steaks to get a cost per usable pound. I prefer the second method if the restaurant serves burgers, meatballs, meatloaf and entrees which utilize the stew meat. The bones may also be credited if you genuinely gain revenue from their use. If the chef had to buy beef bones for base menu items and did not need to purchase as many due to the butchering process, you can go ahead and follow suit with the bones. Our industry is experiencing a shift in the demand curve. Restaurant goers are downsizing from upscale to casual, casual to fast casual and fast casual to QSR and take-out. The regular patrons at many family owned restaurants are watching their checks and eliminating an appetizer or dessert course. If you have a lower priced entree on your menu, you may find the popularity on the increase. Most of the menu analysis and menu engineering models were built during a time of solid annual growth for our industry. These models focus on high gross margin entrees loved by patrons. Blindly using these models to adjust menu prices may hurt your bottom line. These models are designed to eliminate low gross margin menu items if the popularity is low. Rather than completely eliminating these dogs, you may want to repackage these items. Take them off your printed menu and try them as budget specials. You may find a winner or two. The stars need to get your full attention. Are your guests still selecting the reliable cash cows? You may see the high gross margin items slipping in popularity. Chef Mario Batali (one of my favorite chefs) was quoted in a USA Today article: "There's less caviar, foie gras and truffles, but they're still there. They're just not on nine courses. They're on one course." This same article highlights other chefs who have decided to offer more price points for their patrons. Expense accounts are being scrutinized at every major S&P 500 company. The current earnings season on Wall Street shows companies are slashing costs. The wine lists are offering guests fewer trophy bottles as demand for the $200 plus bottle of wine has collapsed. Many restaurants religiously ordered their annual commitment from the same boutique vineyards without regard to consumption. Now, these wine cellars are loaded with these high cost bottles. Many have decided to end this practice and they are moving these bottles by the glass. Are there ways to produce the same gross margins in this new era? Yes. You need more turns on busy nights. Offer early bird specials, table d'hote options, and popular add-ons for your popular menu items. Promote seasonal ingredients which typically offer lower cost of sales. Customer knowledge (including dining out budgets) leads to effective menu planning efforts. Rather than completely revamping your current menu, you may find a few strategic revisions will help you meet your targets. The lowest priced lunch buffet we visited on our tour was $6.95. This operator serves both BBQ pork (whole hog) and fried chicken with lots of sides and desserts. Drinks are not included and sweet tea is sold for $1.19 (unlimited). A quick look around the dining room showed about 75% of patrons enjoying a tea and the others ordering tap water (free). There were a few competitors offering similar food choices for $7.45 with beverage included with the meal. On average, the $6.95 buffet plus beverage accounts for $7.85 in revenue and an extra $0.40 in gross margin. For out-of-town guests, the big $6.95 sign beckons. By the time they see the buffet layout and are warmly greeted by the hostess, they will probably never ask about the extra charge for the tea. I spoke with one of the general managers at the all-inclusive buffet. He told me most of his business is local and everyone wants the tea. They have offered the buffet with tea for decades. He believes the locals are aware of the real price for the buffet with tea at the $6.95 location. I'm sure he is correct. Both restaurants were very busy in the middle of the week. My recent presentation at the HFTP Annual Convention in Las Vegas included 3 Q&A spots. In the first Q&A break, there was a suggestion by an audience member regarding purchases and sales. This food cost professional suggested dividing each day's food purchases by the food sales. I'm a big fan of using sales as a compass for food purchases. At the end of each month, one of the most highly scrutinized statistics is the food cost percentage. This daily check will help to prevent surprises. Since many operators have between 10 to 14 days of cost of sales in their inventory, I also recommend tracking the most recent 14 days of purchases and sales. You may stock up on a few shelf stable items if market prices warrant. Using a 14 day ratio of purchases to sales will help prevent surprises while allowing for an occasional long term buy. Simply create a 7 column spreadsheet with DATE, PURCHASES, SALES, % DAY, PURCH 14, SALES 14, % 14DAY. You enter the date, purchases and sales each day. Calculate the 14 day sums once you have enough data. Then you can calculate the daily ratio and the 14 day ratio each day. These ratios will provide you with a compass for controlling food cost. Thank you very much, for updating the latest tech & happenings in Hospitality world. You are welcome Abraham. I am currently taking a look at a very improved product in the $1,000 range. Stay tuned for my review. Thanks for the question Lori. I prefer to run two calculations - with and without discounts - each period. Consistency is key. If you run the numbers with and without discounts, you'll achieve several objectives: 1. You can gauge the impact of discounts on results. 2. I'm not sure the sales figure would have been possible if a discount wasn't offered but the fantasy number for sales (i.e. discounts included in sales and treated as a marketing expense) is always popular with the people trying to achieve a food cost close to ideal. 3. A sense of reality is available for folks trying to pay the bills. Netting discounts from your sales shows the true food cost. If you would not have made the sales target without the discount, I would definitely focus on net sales. Use the second statistic for the production people. They have no control over sales discounts and follow standard portion sizes. They should know how close they came to the standard and they should also be made aware of the impact of discounts. For anyone who is considering the time investment for a comprehensive menu pricing/recipe costing tool (about 120 hours), I believe the payoff potential justifies the investment. Think of the growing data warehouse on your POS server. You can put this data to use. By tracking trends on covers and guest order profiles, you can accurately predict production requirements. Go beyond simple portion analysis. The recipe model will estimate raw ingredient requirements. The better programs (for example, Food-Trak) will allow you to focus on menu driven raw ingredients. Once you have a working recipe costing model in place, feed the model POS data. Try to upload a full year with daily files. The software will allow you to create order guides based on prior guest preference, average ingredient usage and a sales estimate. Catered events may be loaded into menu plans to complete the picture. Rounding out the picture, you can feed the ingredient database par stock information for all shelf stable items. The result is a highly flexible ordering tool. This model will track par levels and adjust order guide quantities to reflect current sales estimates. Flexible pars could help you eliminate over ordering of perishable items. Depending on your current spoilage and waste levels, your savings will average between 3 and 8% of purchases. If you buy the notion of working smarter vs. harder, the 80/20 principle is certainly a great starting point. When a restaurateur searches for the 20% of his operation producing the 80% impact, I'd like to suggest a simple method. The 4 V's stand for volume, variance, volatility and value. It is important to focus on high volume activities. Ranking your menu items by the percentage of total sales is a popular weekly report. Try the same analysis on your food purchases. If you monitor production of batch recipes, you could rank these by the highest volume. In every case, find the high volume items and activities. Avoid spending lots of time on issues which do not produce a decent return for your efforts. If there is a low variance in usage, price, or any other business metric, look elsewhere. There are lots of high volume items with very little variance from your budgeted expectation. Maybe you consume lots of rolls but the usage report indicates the rolls were used properly. Find another item with a higher variance. Price volatility is a major opportunity area. Locate all of your raw ingredients with volatile market prices. Any positive actions you take in purchasing these items will produce a benefit. Most chefs have a handful of items stored in their offices. You may find truffle oil, saffron, cognac and other high value items. They recognize the relative value (in terms of cost per milliliter or gram) of these items. If you focus on high volume items and activities with usage variances, price volatility or high relative value, the 80/20 principal will start improving your return on time invested. Inventory management is time consuming and takes our focus away from building sales and providing a great customer experience. The Pareto Principal states that 80% of the effects come from 20% of the causes. In other words: 20% of your stock items make up %80 of your stock value. By focusing on the high value 20% we can minimize the time spent on stock control, but ensure this time is spent on the things that really matter. To implement the Parento Principle go through a full stock take and select the high value stock items that you want to focus on. You can then summarize the remaining items into a nominal cost. Next time you do a stock take you only need to count the high value items and use the previously calculated nominal value to represent the other items. You can still calculate all the key metrics like Cost of Goods and Gross Profit, but minimize the time spent on stock control. Chefs love to see a recipe model come together in the final stages. Sole proprietor owners love this stage even more if possible. What's the lure? They see how much it costs to produce the actual menu items with all the trimmings. The most frequently asked question at this stage goes something like "How do we tell the system our cover costs? Is there a way to enter a Q factor?" I let them know they should enter all applicable costs to properly cost the menu. The follow up question is actually a lengthy discussion of complimentary items, starch choices depending on the entree choice, most popular options, etc. I like to create a setup recipe which may be used over and over in every entree selection. My Q factor includes all complimentary items (rolls, butter, ketchup, mustard, soy sauce, salt & pepper, Tabasco sauce, etc. 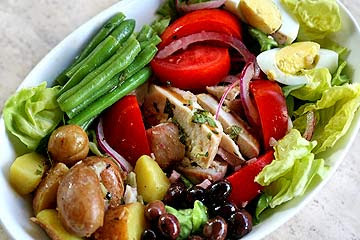 ), salad portion, most popular dressing choice, most popular starch choice and the most popular side choice. The POS system will keep track of the guest selections. If the most popular salad dressing is Blue Cheese and the POS modifier is Ranch, I like to make the recipe for the Ranch modifier equal to 1 portion of Ranch minus 1 portion of Blue Cheese. Since the Q factor already accounted for the Blue Cheese, the reduction of 1 Blue Cheese portion brings the count in line. What's a typical Q factor in a high end dining room offering rolls, butter, salad, baked potato, more butter, and sour cream? About $3 if you use fresh baked rolls. Brad Nelson, Marriott's Corporate Chef, wrote a great post on his blog last summer when food costs were beginning to spiral high due to the energy crisis. 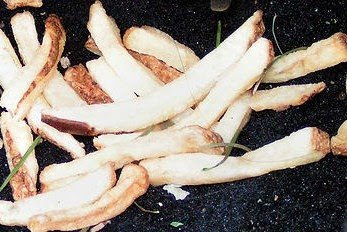 His article focuses on the backyard grilling options for the frugal home cooks. The chef uses less tender cuts of beef and garden fresh vegetables from his own garden. There's a great recipe for new potatoes which cook in a cast iron skillet over slow coals. An investment of time and money in any recipe costing model has a payoff in food cost analysis. Most operators lack sufficient information to conduct a meaningful food cost analysis. Many operators receive a simple percentage which they are told is either too high or too low(occasionally, just right). If the company's accounts payable system charges all cost of goods sold to the same account, there is no additional information available. So what do these companies focus on when trying to explain their food cost results? Their food cost analysis typically consists of a review of the ending inventory. This food cost analysis works like this in most cases: 1. Scan the Excel file looking for large inventory totals. 2. Check these high impact numbers for unit cost information. 3. Once a major item is found with some price volatility, the entire analysis ends and management works on "solving the problem". Occasionally, this team may get around to using a top 10 analysis. This is a small step in the right direction. Often, the food cost analysis completely ignores the true issue. Many food cost "problems" stem from an incorrect inventory value the previous period. No one remembers the over valuation from the previous period. The simple reason this is ignored is the euphoria caused by a great food cost percentage eliminated the need for any proper food cost analysis. This incorrect valuation went completely unnoticed until now. When I'm called in to help with inconsistent food cost percentages, I find the top 10 items in terms of purchase volume. My work includes tests of everything involving these items. A thorough analysis of the top 10 items is the best place to start any meaningful food cost analysis. Eventually, you will want to increase the list to the Top 25. Advanced recipe models automatically focus on 10 to 25 items (depending on the menu scope). Knowing the eventual solution will be found in these high impact items can be useful to the operator with limited information. Treat each item like a stock in a portfolio. Each food cost component has an impact relative to the unit volume, price volatility and risk of spoilage. Focus on perishable, high volume items with volatile market prices. You'll find many solutions in this key item food cost analysis. Cost reduction is dirty business. Few managers want to trim fat by eliminating jobs. Cost reduction is not flashy (like sales increases or new openings). A 10% reduction in costs can increase profit by 25 to 50%. I can help you concentrate the bulk of cost reduction efforts in the areas that affect profit the most. Completion of a short-term strategy can be accomplished in one month. Where can the greatest savings be realized? Where should you concentrate your efforts? If you aren't aware of where the bulk of your money is going, you can't possibly know in what areas cost reduction will have the greatest impact. Current economic conditions offer low interest rates and low inflation. This environment encourages borrowing to invest in cost saving solutions. If you could borrow money cheaply to buy a solution which would lower future costs and improve quality, now is your time. 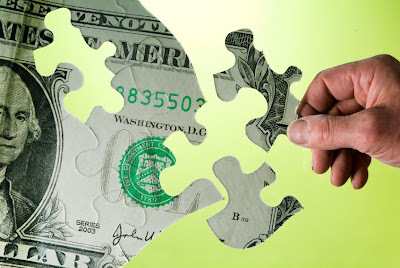 Streamline your organization through a comprehensive cost reduction program. Build profits through cost reduction, as opposed to unit growth. I can help you eliminate short-term debt and replace it with fixed long-term debt, sell off or close down marginally profitable or red ink operations, free up working capital through inventory management. I have a question and may-be you can help me. When doing a plate cost for your menu items would you include paper products in with the food cost or would it just be the food products to get an accurate food cost. There is no hard and fast rule regarding inclusion of paper products in a plate cost. I'd recommend you build in all costs when calculating a true gross margin. Cost of sales should include food, beverages and all supplies which vary directly with a sale of an item. An accurate food cost would include only food purchases and you should only divide the costs by sales of food items. No one likes doing stocktakes. However, an accurate stock count is essential to producing meaningful management information. Have a hard copy of your stock list - A list grouping stock items by Category, then listing Stock Items in alphabetical order makes it relatively easy to look-up Stock Items as you count. Do one storeroom at a time - If you have stock items that are stored in multiple locations (dry store, cool room and service fridges), don't run around the kitchen to find all instances. Count methodically through one store location at a time. Count each storage location left to right, top to bottom - Start at the top left of each shelf, then work your way down to the bottom right. That way you wont miss anything. Count with a friend - It is faster and easier if you count in pairs. One person can physically count the stock while the other records the counts. In addition to speeding up the process this also serves as a check, to make sure you don't miss anything. 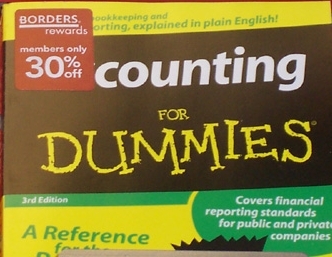 Although counting stock may seem simple, it is surprising how many people I have seen get it wrong. I'm seeking answers & asking for your help with food cost & menu engineering. Info in hand: I put up my own cafeteria inside a factory; catering to 80+ people. 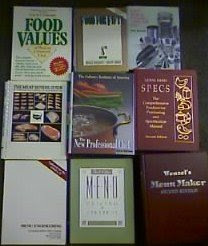 I'm a BS Hotel& Restaurant Mgt graduate - 2005; can not remember much about Food Costing. The net only gives guides & lacks experience that's where I'll need your expertise sir. They also allotted only 2 dollars for food allowance; the employee must eat at least 1 meal(breakfast,lunch or dinner) & 1 snack. How can I manage & even start w/ this. Thank you in advance for the time & opportunity! If you are fully reimbursed for labor and all other expenses (including profit), it would be possible to offer a menu with lots of eggs, poultry, starches, seasonal vegetables and tea given the allotment. You won't be able to offer any higher cost protein items. The labor issue is key. You'll need to make soups and other labor intensive menu items to meet your goals. Try to focus on quality as much as possible. Keep accurate records. After 90 days, ask for a meeting with your client. Try to negotiate a change order. If they enjoy your menu and find you honest and fair, you may be able to suggest some other higher cost ingredients. What would you say my expectations for beverage cogs should be in a private club, not a member owned club? Thanks for your input, I’m trying to do an analysis and I need some solid guidelines on what it should be. A well controlled bar is a great source of profit. Many bar operators are out of control and the result over time is unnecessary selling price increases. Alcoholic beverages are highly regulated and the customers order specific brands. This makes for relatively stable costs (usually change quarterly) and no specification issues. I like to track a simple weighted average figure rather than a hypothetical benchmark. Depending on the level of service, occupancy costs and other factors beyond the cost of alcoholic beverages, your selling price will vary. Sales need to cover all costs and provide a profit (even if your goal is break even at the club, you should budget for risk and cover slightly more than your costs). Using a weighted average, you should track a handful of key bar items: well vodka drink, premium vodka drink, domestic beer, imported (or micro-brew) beer, house wine and premium wine. Weight each item by the respective sales impact. Sales for all well pours for the well vodka, sales for all premium liquor for the premium vodka, sales for all domestic beers, sales for all premium beers, sales for all house wines and sales for all premium wines. You simply enter the selling prices and cost of the alcoholic beverages. The Weight column should total 100% or use your total sales. The Ideal column equals the cost divided by the selling price. The Weighted column will supply the answer to your question. This column weights each Ideal figure based on the share of sales for the category. Feel free to add more categories. The weights should always equal 100% of sales. Guard against going into too much detail. We are not trying to solve every issue with the formula. You will find the current bar cost percentage is higher than the formula result. Resist requests to complicate the formula. Leave all non-alcoholic items out of the pouring cost. I have found numerous bar operations with major problems (theft, over-pouring, wasting draft beer, lost revenue, etc.) splitting the atom over lemon wedges, olives, and wine sent to the kitchen. Create a separate line item to track the non-alcoholic beverage activity and kitchen wine, liquor and beer. 1. Did you get what you paid for? The first and most obvious tip is to check that you get everything you paid for. Often this is as simple as doing a quick count and checking items off against the delivery note or invoice. While this seems obvious, take a look at your practices and you will be amazed at how often stock is received without checking it’s all there. Paying for stock you didn’t receive directly impacts your food margin. Make sure the stock you receive meets your expectations. Quality assessment can be made by visually inspection, feeling, smelling and/or tasting ingredients. Inspecting packaging for damages and checking “use-by” dates also ensure you get what you pay for. Stock that is poor quality will impact the quality of the end product you present to your customer. Poor quality goods may also spoil faster, generating waste and eroding your profitability. Rejecting stock that doesn’t measure-up communicates your quality expectations to your suppliers, setting the base-line for future transactions. Ensuring stock is put away promptly increases the life of perishables and reduces the likelihood of theft. 5. Did you get everything you ordered? Often you need to know ASAP if an ingredient that was ordered didn’t arrive so that you can make alternative arrangements. This week, the New York Times featured butchers in an article Young Idols With Cleavers Rule The Stage just when everyone thought butchering was a dying art. They interview young butchers from around the country working primarily in boutique butcher shops. I would like to introduce my colleague from Australia, Paul Clarke, who will be posting here on the Food Cost Control Blog. Paul has his own blog, Food Margin which offers a "dialog on food operation management" with an impressive start. Food Margin is one month old today. I hope im posting this in the correct blog. Do we add the plate cost to the recipe or do we simply raise the selling price by the respective plate cost? From a strategic viewpoint, there are many options for menu price revisions. The correct overall solution would need to take other factors into consideration. I prefer to add the plate cost as a fixed number(vs. a percentage)for each entree. This is a preference not an absolute. Some operations will be better off taking a different approach. The fixed dollar method will also cover your costs regardless of the entree selling price. You'll receive the same cost coverage whether the selling price is $9.99 or $29.99. This is especially attractive now as consumers are choosing lower priced menu items. Generally, any amount you add to a selling price as a fixed dollar amount is 100% variable from a cost accounting perspective. As you sell units (in our case entrees), the revenue (and variable cost coverage ) are in sync making your break even point more predictable. Many companies provide complimentary items and do not provide for these costs in their selling prices. With consumers looking for value, you need to consider competitive threats when you evaluate any price increase decision. There are plenty of issues in every operation which could be corrected if only management was aware of their existence. Many operators avoid the effort required to create a detailed operations manual. Given the turnover level in our industry, this document should be mandatory. Imagine working as a line cook or expediter without any point of reference. You are hired and receive very little direction. Immediately, you start work using your prior experience to guide you in your new position. Maybe you never cut steaks at your previous jobs since portion control cuts were used. Orders come in for strip steaks and you are told the meat is in a walkin cooler and the policy is to cut steaks from the boneless strip loin. Properly cutting steaks is not your forte. Instead of 11 steaks per strip, your efforts yield only 10 steaks. In a steak house this would be unlikely but possible. In a casual dining operation with a large menu, this is common. Lack of training and standard portion control costs this operation 10% extra on each steak served. Produce preparation is subject to tremendous yield swings. Even the industry sources disagree on produce yields. Whenever you prepare anything other than the entire piece of fruit or vegetable (e.g. head of lettuce or an apple), you have an impact on yield. On slow nights and in many low volume operations, produce prep takes place on an inpromptu basis. With no specific person or team tasked with produce prep, the exercise produces wide swings in yield. French fries seem like a straight forward item to properly portion. One of my clients called me excited one day to retell a success story with our recently built usage variance model. The system uncovered a 30% overuse of fries. The issue involved poor training of a new hire. This cook would fry an entire bag of fries. He portioned the fries perfectly on each plate after the expediter showed him how the fries should look on the plate. Early and late in the meal periods, his cooked fries would be routinely swept into the nearby garbage pail once they were cold. A quick training session fixed the issue. He was taught how to portion the fries before cooking during slower times. After 20 years of running Full Service Restaurants. Food cost can be attacked by two basic angles. 60% of all food cost is in the garbage can (waste). The rest is over portioned. Focusing your coaching and training on these two key areas will typically keep your food cost in check. However, in some types of restaurants, such as Steak houses, you have to focus on your budgeted number and it will be much higher, but keep in mind RTN or return to net. If you sell a 24 oz cowboy Ribeye for $20.00 and it cost you $10. You have a 50% food cost, but your making $10 on each one sold. For a comparison, take chicken wings, you might sell them for $10 and have a cost of $3. You have a 30% cost, but your making $3 less than the 50% cost, Ribeye. Food for thought. Everyone now discusses the current trends with tremendous confidence. The consumer has traveled downstream from upscale to value. Some restaurants are offering smaller portion sizes for lower price points. Value menus remain hot. These trends were not so easy to spot 8 months ago. I took a walk on King Street in Old Town Alexandria last evening at 7:45 PM. The restaurants farthest from the Potomoc River were slowest. 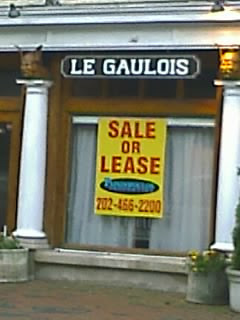 I noted a French restaurant Le Gaulois had closed. Most of the restaurants with entree prices above $25 were nearly empty. On the other hand, many other restaurants were packed. No seats were empty at Eamonn's a Dublin Chipper. Coffee houses, pastry shops, pubs and focused menu concepts were generally busy. Would Le Gaulois been saved if they had run weekly forecasts and compared actual results with expectations? They may have seen a drop in covers on normally busy nights and tried a table d'hote option. It would have taken courage but they might have tried a different menu style last fall. The clientele shifted from a splurge attitude to a value attitude in our area. People began tightening their spending habits last fall. We see the impact in this top rated restaurant closing the door. Interesting blog you have there. I hope you have time to give me some advice. I’m the controller of a medium sized hospitality company. We operate several fast food places with lots of inventory (around 700 unique items per location). Inventory takes forever to count, and of course, the longer it takes, the less motivation on the part of the employees to count it, leading to probably inaccuracies in the numbers. Here’s the dilemma: the owners don’t trust the inventory, or the possibility that the inventory will EVER be counted right, so they have decided to select a truncated list of items to count based on various criteria. One of the owners tells me that this is common industry practice – even though I don’t have a lot of experience in the hospitality industry, I don’t see how only counting some items could yield worthwhile numbers, but at the same time I could see the benefit of not counting certain things. It seems to me they only want to save labor dollars, to be honest. Do you have any experience you could share? Thanks for the excellent question. As long as the short list is counted frequently and usage compared to sales, I agree. Do these key item counts weekly with a full count monthly. Three suggestions: 1. Most QSR operations have far fewer than 70 unique items. QSR implies focused menu. If a QSR operation stocks too many unique items, it is a warning sign. 2. Analyze sales and determine which menu items need to go (unpopular) and which items are making the money (popular). Trim the losers and promote the winners. 3. You may have a thief. Many people who can't get an accurate inventory, with all the tremendous tools available, do not want to get an accurate inventory. In the movie "A Few Good Men", Tom Cruise's character Danny shouts out "I want the truth!" and Jack Nicholson's character Colonel Jessup shouts back "You can't handle the truth!" just before the Colonel offers the entire truth. While sitting in on management meetings at some of my client's offices, I'm tempted to mimic Danny and ask for the truth. The truth gets swept into the closet at too many of these meetings. 1. Manager ordered his staff to cook 200 whole rotisserie chickens (typical demand is 40 per night) since he felt they might spoil. He offered the birds at a $1 discount. Instead of freezing the raw birds, the staff followed orders and prepped 5 times the usual marinade, prepped the chickens and slow cooked them all day long on the rotisserie. They sold an extra 10 chickens. The additional unit sales weren't enough to offset the discount of $50. What did they do with the other 150 birds? They never did sell well the next day when they were offered cold for $2 off. More ingredients were wasted when the staff whipped up a mess of chicken salad. Try to imagine the additional labor, the marinade ingredients, the gas used to cook the chickens, the mayo and veggies used in the salad. Instead of stopping the insanity early and eating the $250 on day one, the mistake was allowed to dominate the week. The manager never survived this debacle. 2. A fast moving multi-tasker put 10 cases of baby back ribs over medium heat and went outside to check on a delivery. Since the restaurant was not open for breakfast, no one was in the kitchen for the next hour. The delivery didn't go as planned and several phone calls were required to communicate with the vendor's main office. By the time the employee made it back to the kitchen, he realized his mistake. The ribs were all ruined (burned on the one side). The owner came in 2 hours later and asked why the kitchen smelled like something was on fire. He was told how the 300 pounds of ribs were burned and discarded. This was an honest mistake. The ribs were immediately discarded and the employee never wasted another rib again. These huge errors were well documented due to the shear size of the hit. It would have been impossible to change a couple of Excel entries to heal these wounds. As crazy as it seems, I found the 2 meetings following these events to be fantastic. Everyone discussed real issues and developed safeguards to prevent a replay. I took down my well crafted Yahoo Finance Pipe with a filtered news feed for the hospitality industry. Eric Hertha's Hospitality Finance Blog will keep you up-to-date on any and all reports for public companies in our segment. Great answer. I know you focus in on cost control, but it seems to me personnel supervision is the #1 cost control issue...but it also the #1 revenue generator. 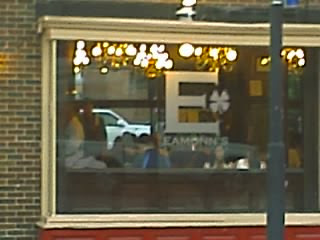 In this economy, I believe restaurants overlooking the obvious. I'm still eating out. Just not as many places. I make it an occasion, and still spend a fair amount of money. But I only go where the food AND service AND atmosphere AND value...are all excellent. I'm believe many of the restaurants could thrive in this recession/depression by focusing on these items. I know these items make up more than 1/2 of the costs of running a business. Why wouldn't business owners focus their energies on this? But instead I keep seeing chefs/owners reducing the wrong items: food quality, food freshness (localness), portions or service. I was just in Vegas. All of the casinos and restaurants and employees have gotten the message. Every single person was extremely helpful and grateful for my business. I thought I was going to get a kiss for just a $2 tip. I loved the service from the waitress to the pit boss. I would ask every restaurant owner: do you have the best possible server, captain, busser, hostess working for them? Are the best possible trained employees out front positively representing the restaurant? Are you unequivocally proud of every single employee? If not, then your employees are driving your business into bankruptcy. Now ask yourself the same about atmosphere, cleanliness, quality and value. Am I the only person in the restaurant concerned about these factors? We are definitely in sync Ralph! Employees make the guest experience. They produce the top quality menu items, served guests with a positive, friendly attitude and help keep your restaurant spotless. They also help you make money by following portion control guidelines and making sure both the quality and serving size are consistent. During my most recent trip to Las Vegas in October, I had two excellent dining experiences. If you really want service, take a trip to St. Kitts. The Royal Beach Marriott has several restaurants. At every meal, the management and staff came by at least five times to check on my satisfaction. Most of these people wanted to know if I was able to explore the island and they each mentioned their favorite spots. I asked my client if there was a course all resort employees were required to take prior to work. He said the entire island is sensitive to the needs of tourists. The whole population recognizes the importance of the industry. What a letdown! We made a special trip to name left out just for the great burgers. We walked in and found it packed with first-timers like us, standing in a confused mob inside the door. The counter-person (owner?) and the cook, standing next to each other at the counter, neither acknowledged nor made eye contact with ANYONE in the line for an annoying 20 minutes or so. FINALLY the counterman said, "OK, who has to order?" Not, "how can I help?" or anything cordial. He then took orders for about a dozen or so burgers from six or eight people, and was surly at best during the entire process. No menus, no explanation, not even a list on the wall to explain protocol. We ordered based on hearsay, and waited an excruciating 40 MORE minutes (for a total of ONE HOUR) to get a mediocre, dry burger; and the order was wrong! If it was supposed to be a cheeseburger, there was so little cheese it was a hint at best. "The works" were forgotten, and it was NOT the default medium-rare that is supposedly served unless otherwise requested. It was flavorless, dry, and boring, on white toast with not a drip of ketchup or other condiment, and NO SALT OR PEPPER either! The icing on the cake was the FU attitude from the owner and the chef, who sighed and rolled their eyes at anyone who asked a question or made a special request. We are SO disappointed at this bum deal. Worst of all: it cost roughly $30 for four lousy, dry, overcooked burgers, a half-cup of potato salad, a bag of chips, and two sodas. What a RIPOFF! I need the proper format for costing. Can you send it to me. Back in May 2006, I posted a series of articles to help explain both the format of the period food cost results and the impact of each component. The report format varies for hotels and resorts with more than one profit center. When you have central purchasing and transfers of both stock items and batch recipe items, you need a more complex approach. It helps to start with a matrix. The rows of the matrix are the formula components. You would have a column for each profit center (including the central purchasing - warehouse operation). The transfer activity should net to zero for the entire operation (i.e. transfers in equal transfers out). In theory, central purchasing & control's revenue and usage should be zero. All cost should flow to the operating units. We can evaluate each profit center's performance (as a % of revenue) and use the statistics to explain overall performance. The goods available for use number is exactly the same as the simple formula. The beginning inventory plus purchases equals goods available. Usually, purchasing is done centrally and the profit centers will have very little purchasing activity. Transfers out of the commissary to the units should closely track purchases since food is perishable. When net commissary transfers are far less than purchases, par stock levels should be modified to prevent future over stock conditions. The commissary equals goods available plus the net transfer activity minus the ending inventory. We should see zero or a very small usage amount. A negative result would indicate a error in your data entry. Each profit center's usage is simply the beginning inventory plus net transfers minus ending inventory. Divide the usage by the revenue to find the usage as a % of sales. I was asked this question at a job interview and hope that I got them right. What is your take on this question? Food quality control, food cost control and personnel supervision are three important responsibilities of this position. Please prioritize these in order of importance and provide your reasons. 1. Personnel supervision is number one because people make the entire business model work. It's impossible to hit your objectives if you are lax with supervision. 2. Food quality control would be my second priority because quality drives sales. You can hit every other number in a restaurant and if the quality is low you're in danger. So now we have qualified, well supervised staff producing high quality menu items. 3. Let's make some money now that our guests are happy with the service and food quality. Food cost control will help insure proper portion control, lower waste, optimal stock levels (freeing cash frozen on your shelves), and optimal blend of ingredient price and quality. On the quality issue, it's often possible to meet the food quality control and food cost control objectives simultaneously. I shop at Whole Foods for many items due to family allergies. They have a private label called 365. The 28 ounce can of the 365 label canned peeled whole tomatoes costs $1.39 here in Virginia. This is a premium over other local markets. You may pay as little as $1.09 for the same size can. When you cost the canned products by the tomato, the Whole Foods 365 label comes up a winner. Each can averages 12 tomatoes. Some of the cheaper brands have only 7 or 8 tomatoes and plenty of water or tomato juice. Would you rather pay $1.39 for 12 tomatoes or $1.09 for 7.5 tomatoes? You pay 25% more when you buy the cheap brand. This analysis is 100% tomatoes to tomatoes. The size is almost identical.